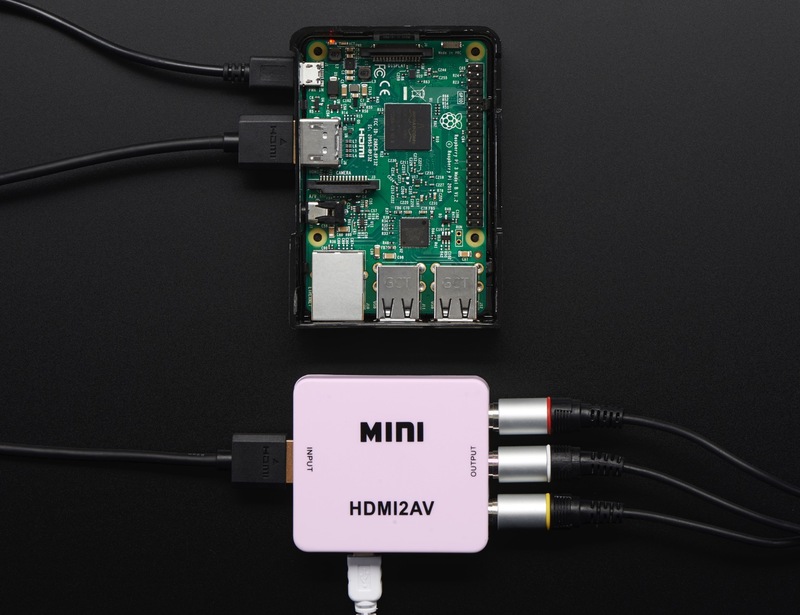 NEW PRODUCT – HDMI to RCA Audio and NTSC or PAL Video Adapter « Adafruit Industries – Makers, hackers, artists, designers and engineers! 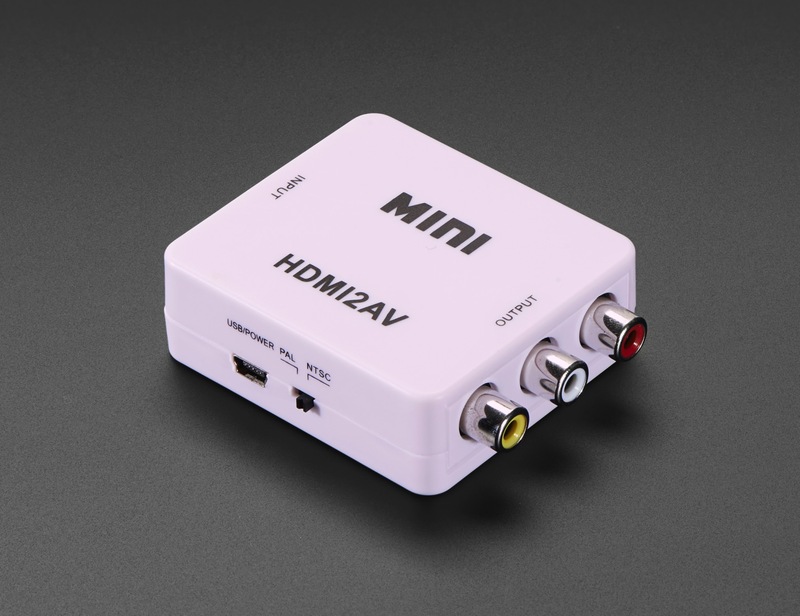 Do you have a display, television, projector or some other older device that isn’t compatible with your HDMI devices? Here’s an adapter that will allow you to convert HDMI from your modern computer or game system to NTSC/PAL, for older screens and devices that might not have an HDMI input. 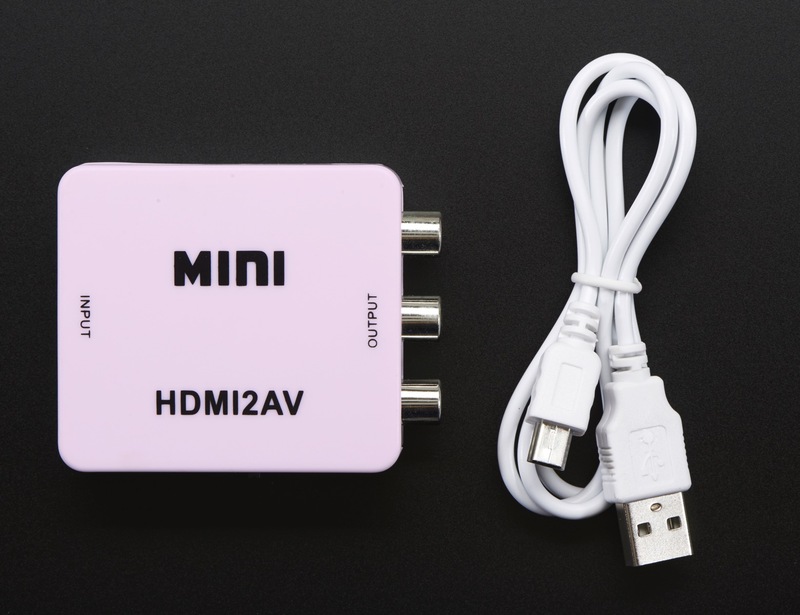 This mini HDMI to AV signal converter will convert HDMI video signal or audio signal to CVBS (either NTSC or PAL selectable) composite video signal and left/right stereo audio signals. A switch on the side will select between standard 480i NTSC or 576i PAL. Note that you will get some degradation of signal just by the fact that you’ll be converting HD video down to a low-rez display. That said, for many older devices, such as TVs, CRTs, VCRs, projectors, DVD recorders, game console, etc. you may not have a choice. Just be aware that it won’t turn your 1990 TV into an HDMI-quality display! What about the other way around – get NTSC/PAL-only gadgets to talk to a modern (HDMI) display?